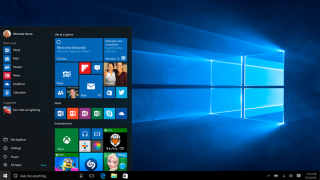 It's no secret that Microsoft wants you to upgrade to Windows 10. Like, really badly. Microsoft's pulled out all the stops it can think of, even going so far as to limit support for new processors to Windows 10 only. And yes, in case you were wondering, Microsoft is following through with an announcement it made earlier this year that Intel's Kaby Lake and AMD's Zen processors would require Windows 10. "Windows 10 will be the only supported Windows platform on Intel's upcoming 'Kaby Lake' silicon, Qualcomm's upcoming '8996' silicon, and AMD's upcoming 'Bristol Ridge' silicon," Microsoft stated in a blog post earlier this year. At the time, Microsoft also included Intel's Skylake CPUs in the mix with an 18-month grace period to make the upgrade. It later reversed course among intense backlash from the Internet community at large. Wondering if the same would be true of Kaby Lake and Zen, PCWorld reached out to Microsoft, which held firm in its initial decision. "As new silicon generations are introduced, they will require the latest Windows platform at that time for support,” a Microsoft spokeswoman told PCWorld. "This enables us to focus on deep integration between Windows and the silicon, while maintaining maximum reliability and compatibility with previous generations of platform and silicon." Taken at face value, Microsoft is forging ahead and promoting new features, though one can't help but feel it's another arbitrary move to get users to upgrade to Windows 10. So, what happens if you install a Kaby Lake processor in a desktop PC running Windows 7? Good question—nobody knows outside of Microsoft and Intel, and until the CPUs are out in the wild, no one will have the opportunity to try it out. One unnamed source told PCWorld that without support and security updates, his guess is that the experience would be "a bit glitchy." Another surmised that certain apps trying to use features built into the chips could crash. Even if you can get the OS installed, it would likely be a sub-optimal experience at best. There's not a whole lot Intel and AMD are saying about this. Both chipmakers provided canned responses when asked for thoughts on the subject, with Intel confirming it has no plans on updating Windows 7 and Windows 8/8.1 drivers for Kaby Lake "per Microsoft's support policy change."